MISTAKE #1: Failing to learn how the Department of Veterans Affairs decides whether to give you benefits. Many veterans think they simply fill out forms – send them in – and wait for their check. But the bureaucracy involved with getting your disability claim approved is much more complicated. The VA awards benefits only when you can prove that (1) you are eligible to receive VA benefits, (2) you have a current disability, (3) you have proof that something happened to you while you were in the service, (4) you have medical evidence linking your disability to something that happened in the service, and (5) you have medical evidence demonstrating the severity of your condition. Proving these five points is difficult. This is one reason the VA denies most first-time claims. MISTAKE #2: Failing to hire a lawyer after you’ve been denied. 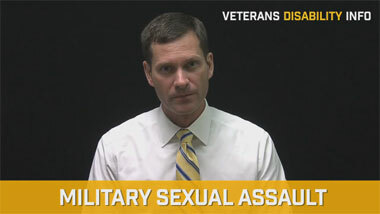 Most veterans who deserve disability benefits do not understand the fine points in the law. 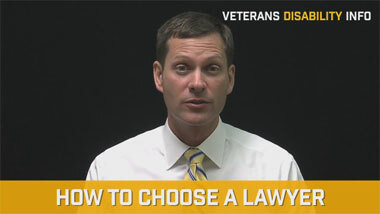 It’s nearly impossible for you to win VA disability benefits unless you hire an experienced veterans disability lawyer. MISTAKE #3: Failing to submit detailed statements from your friends and family members. It is important to document your symptoms and how they have affected your life. Many veterans fail to obtain sworn statements from service buddies, friends, or family members who personally witnessed the symptoms of their disability. MISTAKE #4: Overstating the impact of your disability. Some veterans think they must exaggerate their symptoms to convince the VA that their disability is serious. This causes the VA to question their entire claim. And, in the end, all they do is hurt themselves. While you need to explain your case thoroughly, make sure what you present is accurate. The VA doesn’t like to accept what a veteran says. When there are inconsistent statements in your file, you give the VA an easy way to discredit you and conclude that they should not believe what you say. MISTAKE #5: Failing to obtain a medical opinion linking your disability to your service. One of the biggest reasons why VA denies claims is the absence of medical evidence linking your disability to your service. If all you have are your own statements claiming the problem is related to your service, the VA will almost certainly deny your claim. MISTAKE #6: Relying on the VA compensation and pension examiner. Don’t assume that the C&P examiner will say something favorable to your claim. You must take the responsibility to make sure your file contains a well-written, well-reasoned medical opinion from your doctor (preferably a private doctor). This can be of tremendous value in persuading the C&P examiner to write a favorable opinion. MISTAKE #7: Failing to pursue your claim and, instead, just giving up. The appeal process is long and cumbersome. Add to that your disability and the financial hardship, and you may decide “It’s just not worth it.” Please don’t give up. 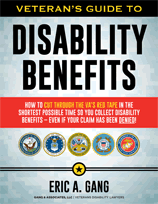 If you meet the VA’s requirements, you have earned the right to receive disability benefits. In addition, a finding of service connection is required to secure other VA benefits such as healthcare. Hiring a veterans disability lawyer to represent you can make the appeal process much easier on you – and greatly increase your chances of success. Over the years I have seen that success comes to those veterans who continue to fight for their benefits.